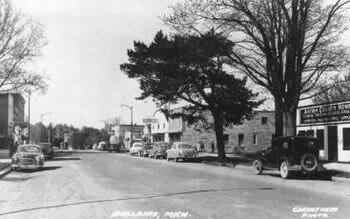 The Bellaire Theatre was originally built in the early 40's. 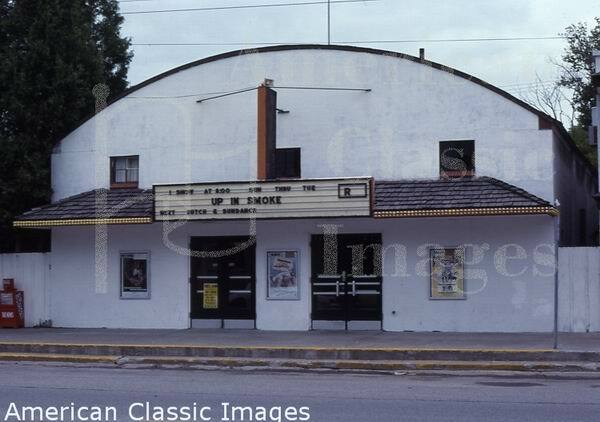 In 1979, current owner Leonard Dawson purchased the theatre. However, in January 1988, an arsonist set fire to an apartment building next door, and it spead to the theatre. 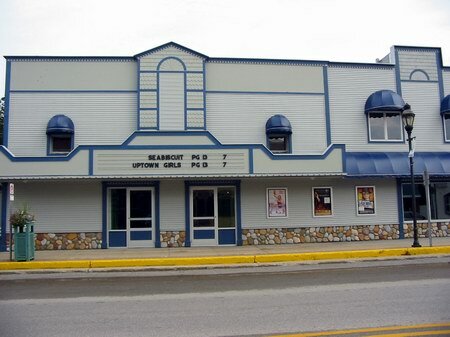 Everything was lost in the blaze, though Dawson rebuilt the theatre complete with a new sound system and rocking chair seats with cupholders - one of the first theatres in northern Michigan to do so. There's a plaque in the lobby that respects the theatre's phoenix that reads Bellaire Theatre: destroyed January 1988, reopened July 1988. A second screen was added summer of 2003. Today, Leonard, despite also owning theatres in Petoskey, Gaylord, Mackinaw City and Cheboygan, can be seen working the refreshment stand several nights per week at the Bellaire along with wife Elaine. This little downtown 2 screen cinema appears to have been remodeled not too long ago.